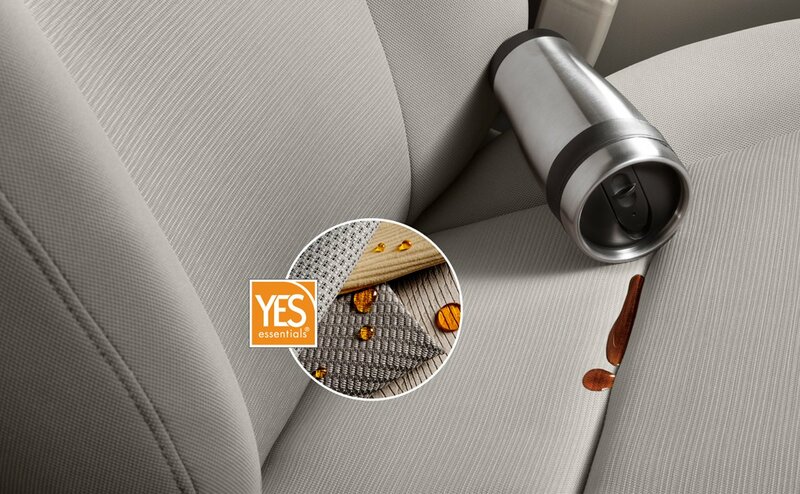 The Sedona’s first-in-class available Slide-N-Stow seating lets you easily fold the second row upright while the third row conveniently stows under the floor—giving you ample space without removing any seats. 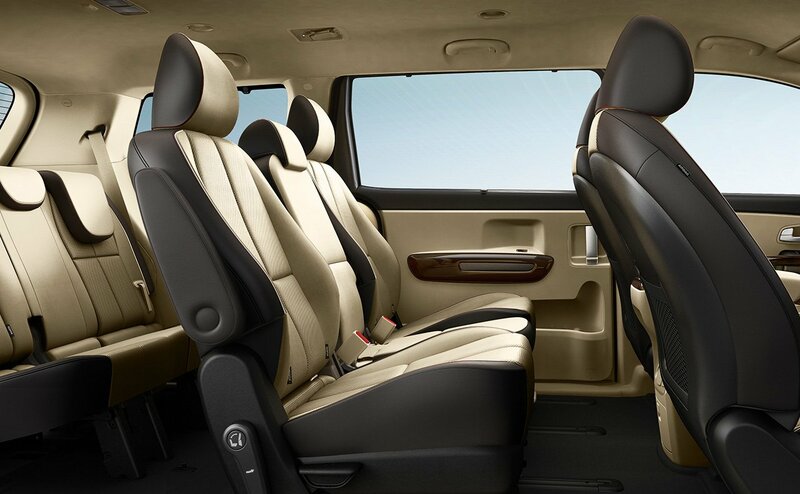 And for eight-passenger seating, the second-row center section can be taken out to offer even more room. 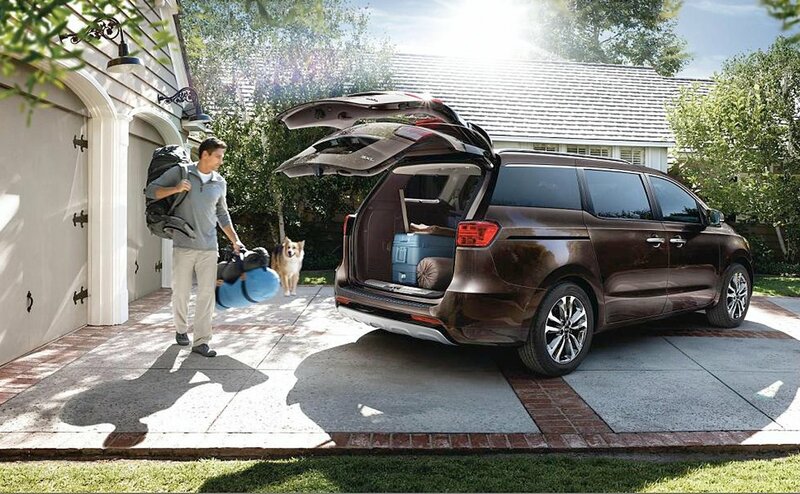 See just how easy it is to configure the Sedona to suit your lifestyle. 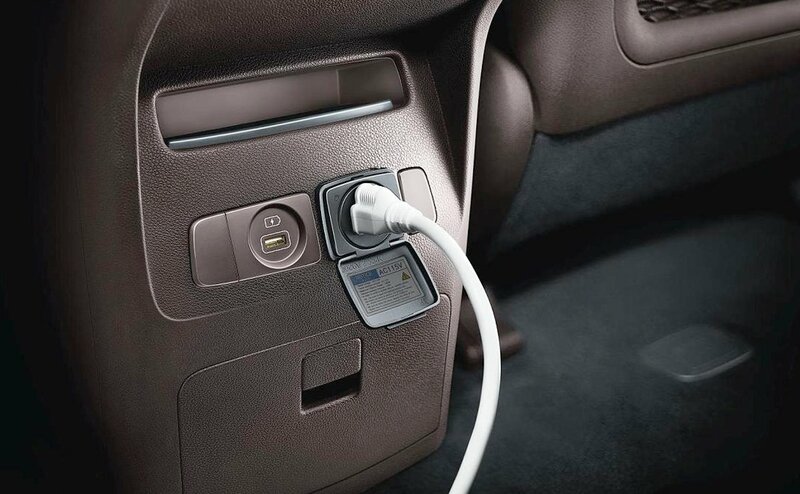 The Sedona is convenience for the modern world. 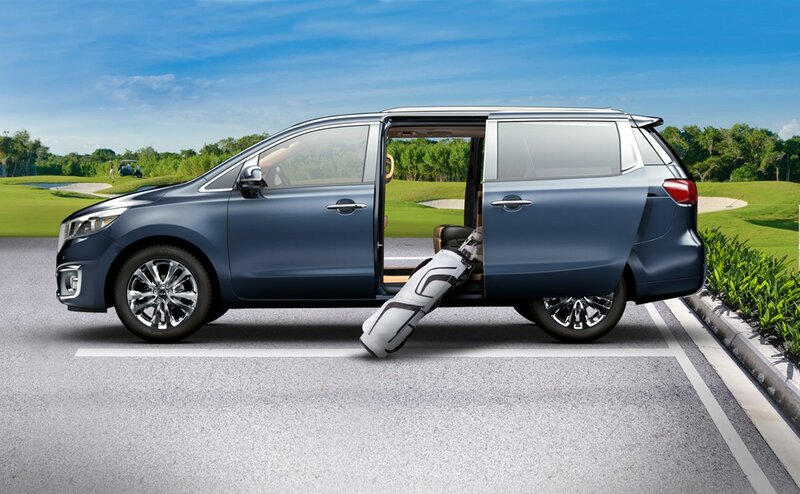 Equipped with available features such as multiple AC outlets, faster USB charging, Infinity Premium Audio, and a glove box with built-in cooling, the Sedona is stylish and sensible, accommodating all your high-tech must-haves while on the road. 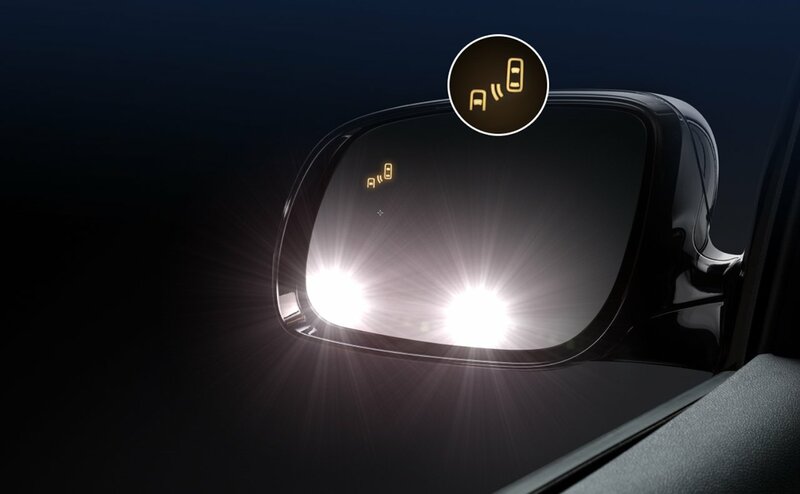 Mirror - Standard in every Sedona, the Rear-View Conversation Mirror keeps passengers in your line of sight without taking your focus off the road. 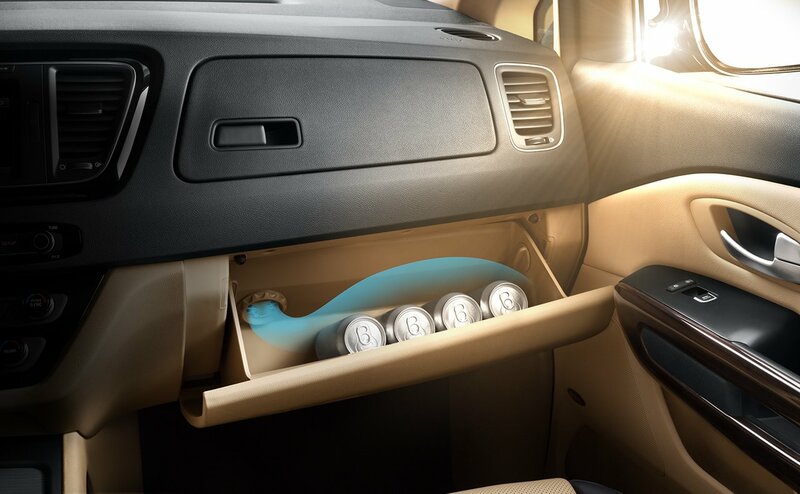 Glove Box - The available Cooling Glove Box is made for storing anything that needs to keep its cool. 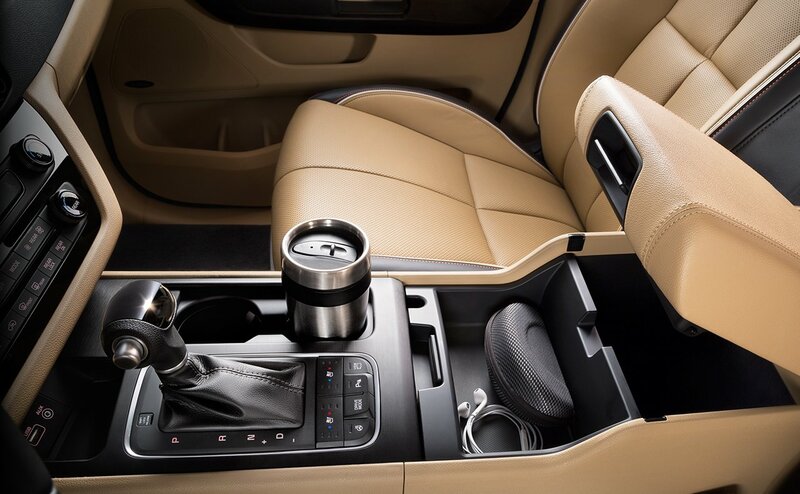 Console - The Sedona’s unique SUV-inspired center console offers a cockpit-like feel for the driver, and generous storage space for ultra convenience. Outlets - Stay plugged in and powered up with up to eight outlets, including three 12v outlets, one AUX/USB port, two available AC power outlets, and two available USB 2.1 rapid-charging ports. 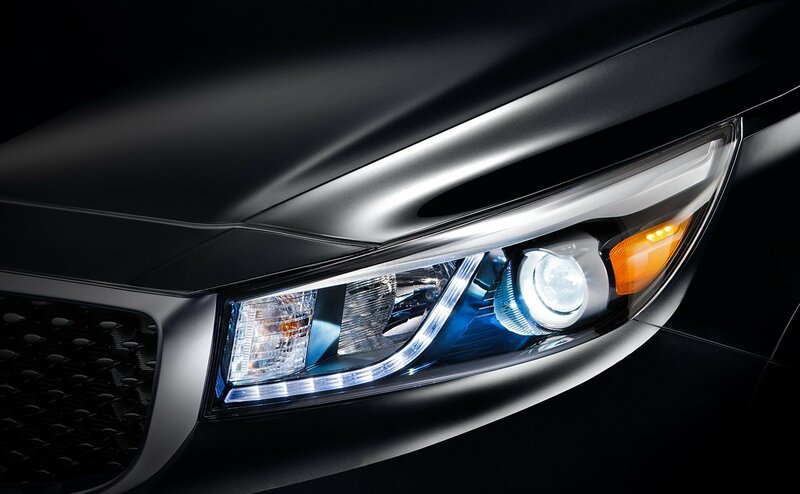 Headlights - Projector Beam Headlights with LED Positioning Lights deliver crisp illumination that cuts through darkness. Wheels - The available 19-inch Chrome Wheels fill the wheel wells for an aggressive stance and striking first impression. 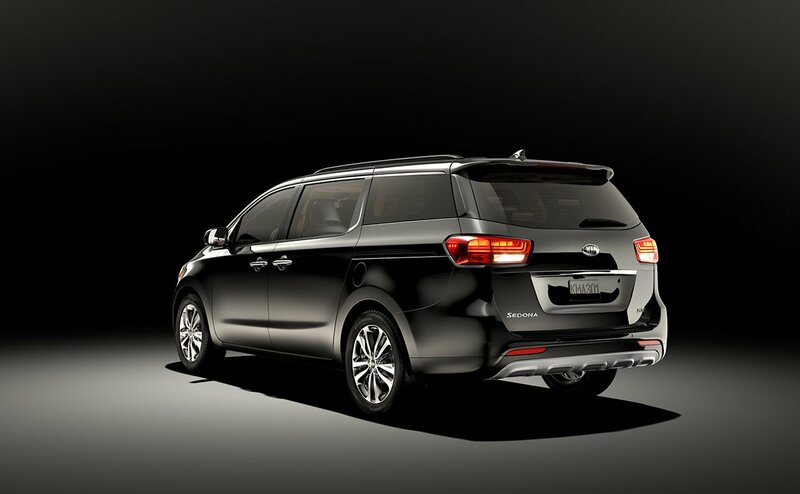 Front - The Sedona’s wrap-around rear glass, LED taillights, integrated bumper guard, and stylish spoiler help complete its assured stance. 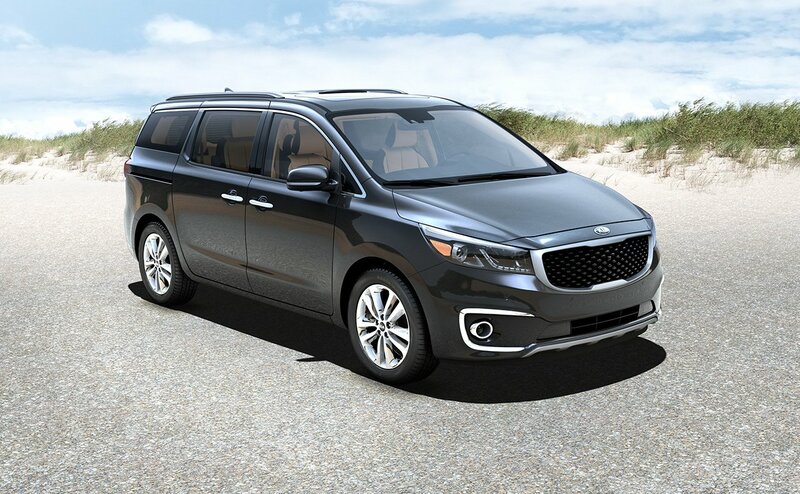 Rear - From the deeply raked windshield to the bold front grille, face-to-face, the Sedona’s SUV-like appearance is sleek, muscular, and sophisticated. 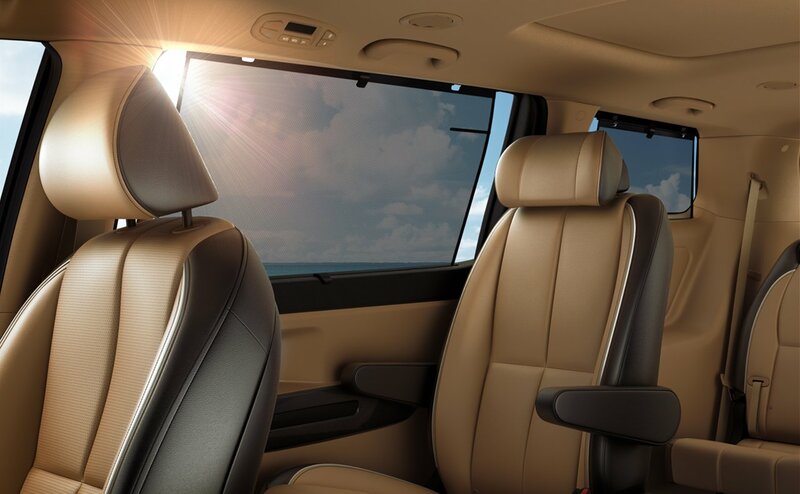 The Sedona is indoor comfort impervious to outside climate. 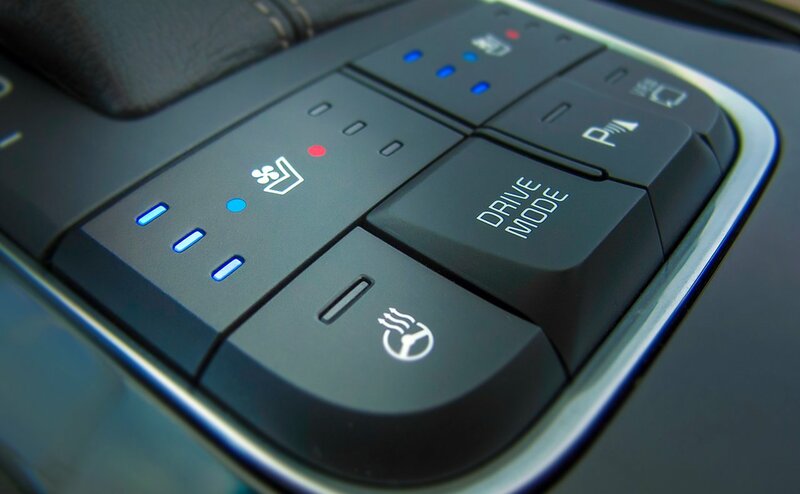 Heated Front Seats offer three heating levels to warm you up. 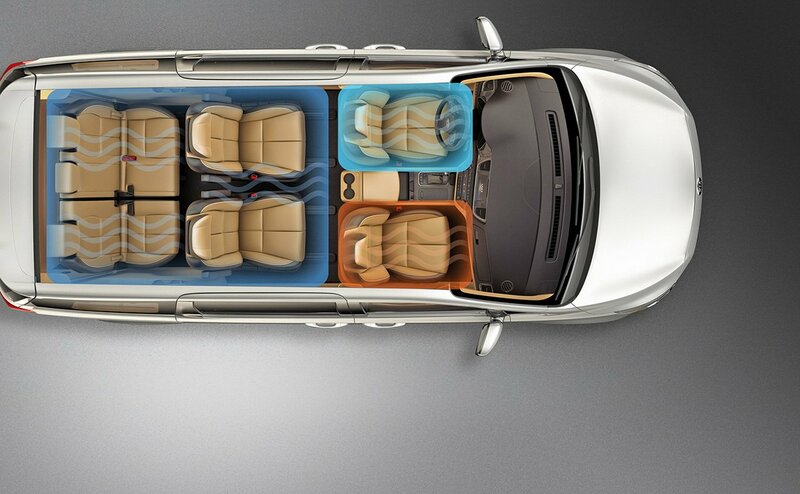 Ventilated Front Seats have three fan settings to cool you down. 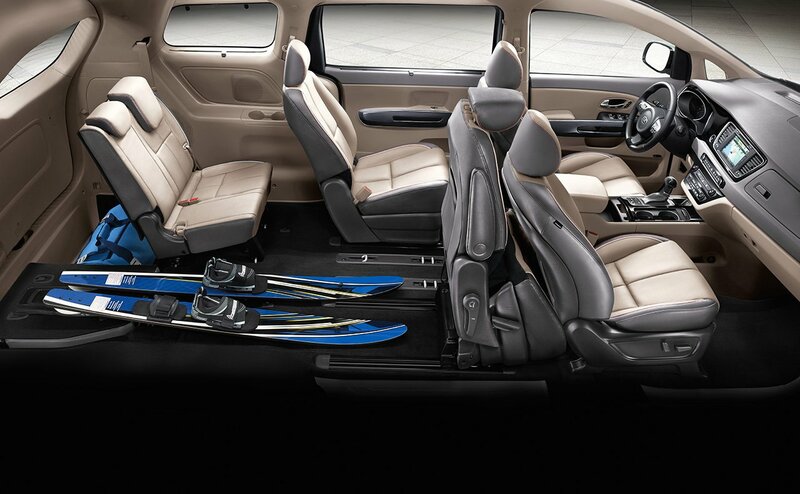 Plus, the Sedona has available second row heated seat cushions. 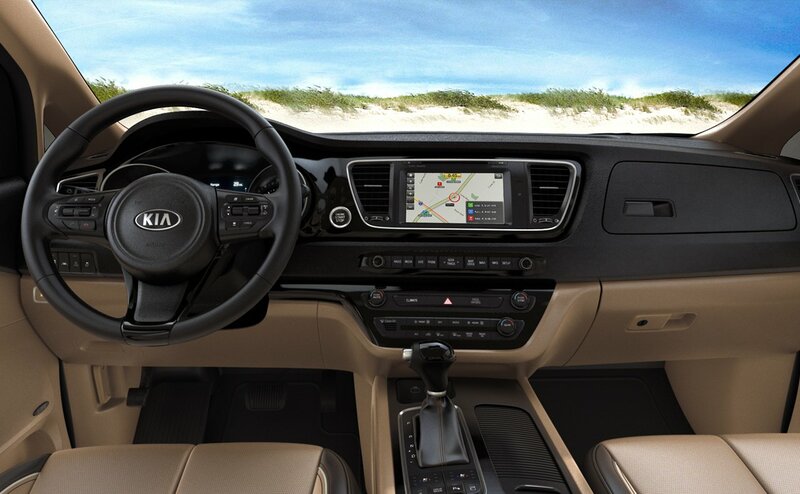 Intelligent and responsive, the Sedona is loaded with cutting-edge innovations to help keep you in control. Features like Blind-Spot Detection (BSD), UVO Local Search Powered by Google™, and the Smart Power Tailgate provides hands-free opening with both feet on the ground. The Sedona offers available active technologies like the Forward Collision Warning System (FCWS) and Blind-Spot Detection (BSD) with Rear Cross-Traffic Alert (RCTA). Designed to help alert you of unexpected obstacles so that you can stay the course. Rear Alert - Available Rear Alert technology assists as you reverse, helping to warn you via a Rear-Camera Display and audio sensors as you approach an object. Blind Spot - Your second set of eyes on the road, the available Blind-Spot Detection (BSD) system sends visual and auditory signals to help warn you of objects in your blind spot. Rear Cross Traffic Alert (RCTA) helps to warn you of potential cross-traffic hazards when you’re backing up. Collision - Using front-mounted sensors, the available Forward Collision Warning System (FCWS) provides audible warnings and visual signals to help alert you of a potential forward collision. Lane Drift - The available Lane Departure Warning System (LDWS) projects a visual alert on your meter display, and sends auditory signals, if you stray from your lane. The UVO eServices infotainment system now has even more features to make your drive smarter and more fun. The in-dash system makes it easy to give voice commands and get turn-by-turn directions. The free UVO app is intuitive remote access right to your Sedona. Learn more about the many UVO eServices features at www.MyUVO.com. Search - Local Search. Powered by Google™. Available on your in-dash screen, you can search for local businesses and destinations by voice command. With Google™ Send-to-Car, you can even send Google™ map destinations from your mobile device straight to your vehicle. Geo Fence - Gain advanced access and peace of mind with My Car Zone Geo Fence Alert. 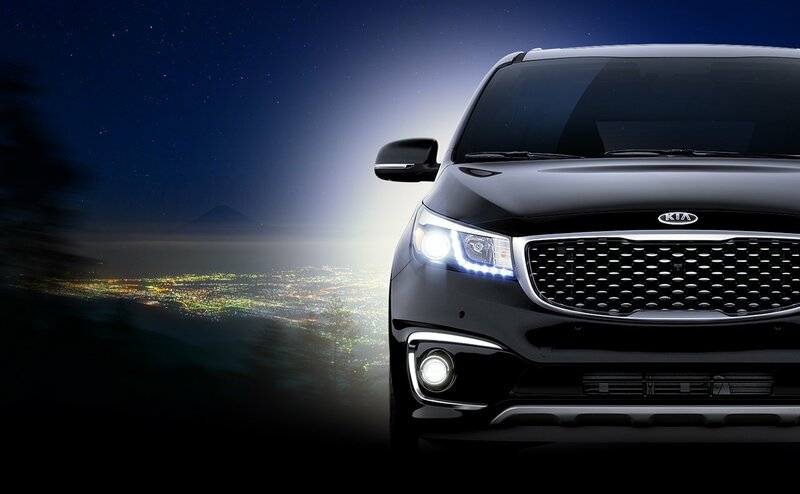 Set a perimeter, and UVO will notify you and the driver if your Sedona is driven outside the designated area. Siri® - Siri Eyes Free for UVO allows you to command your compatible iPhone® using only your voice. Connect with Bluetooth® for convenient, intuitive control. Your safety is our top priority. 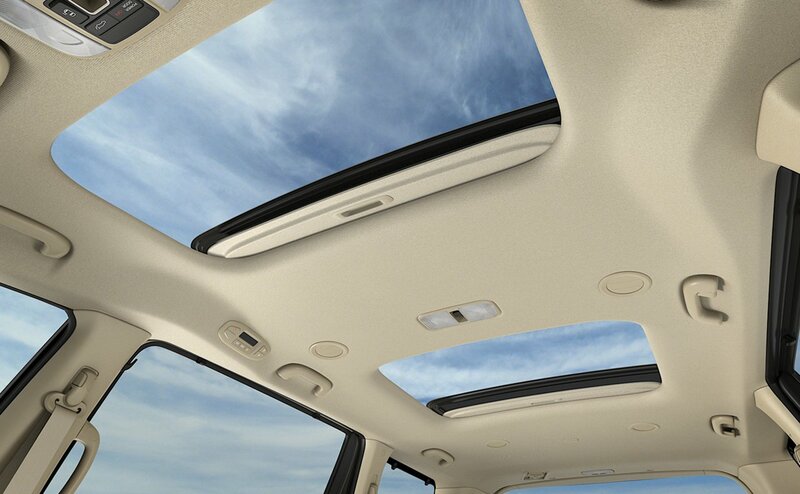 That’s why the 2015 Sedona features trusted active and passive safety systems to help you stay on course. 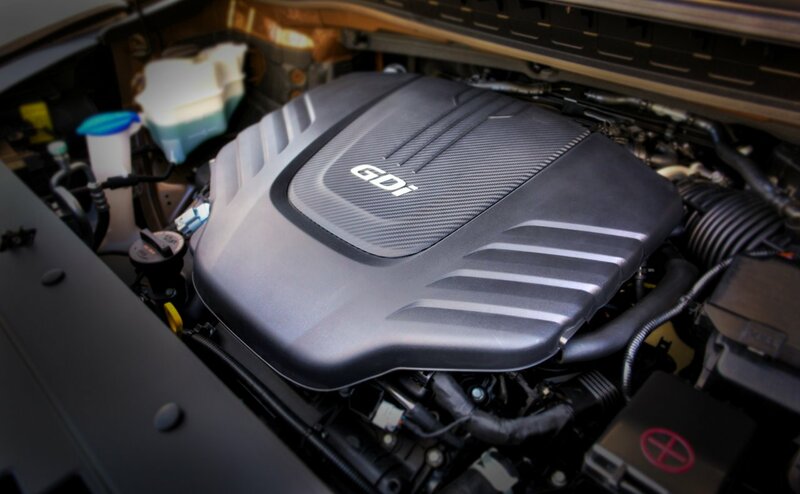 Intuitive systems, like Electronic Stability Control (ESC) and Cornering Brake Control (CBC), that help you maintain better control. With a body made of 55% high-strength steel and patented technologies that provide outstanding durability, the Sedona is modern engineering that gives you an assured command of the road. Control - Maintain control when it matters most. Electronic Stability Control (ESC) helps you stay on course, while the Traction Control System (TCS) helps avoid wheel spin. 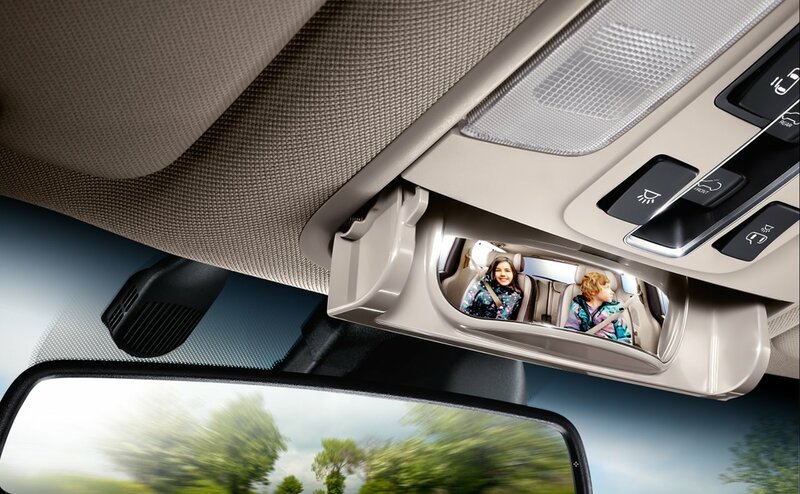 Hill-Start Assist Control (HAC) helps keep your Sedona in place as you move off an incline. Braking - Advanced braking for improved efficiency: Electronic Brake-force Distribution (EBD) adjusts braking, front to rear, depending on load. Cornering Brake Control (CBC) helps you stay on track while you turn. 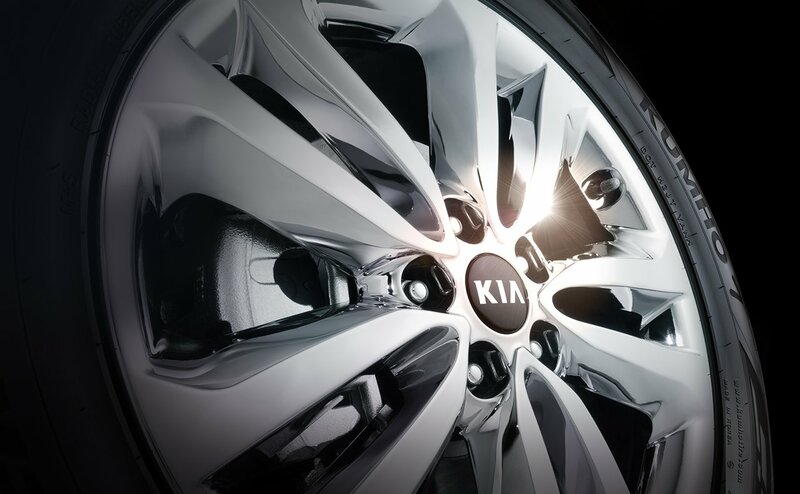 The Brake Assist System (BAS) senses emergency braking situations and boosts braking pressure. 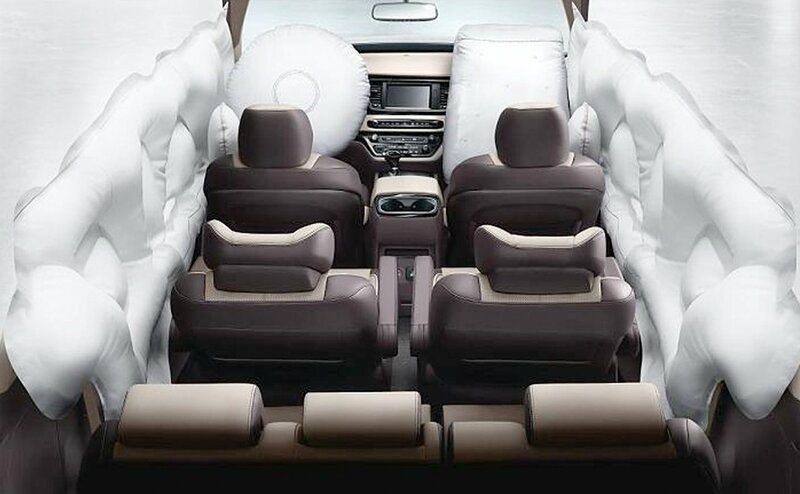 Airbags - Engineered to help minimize injury. 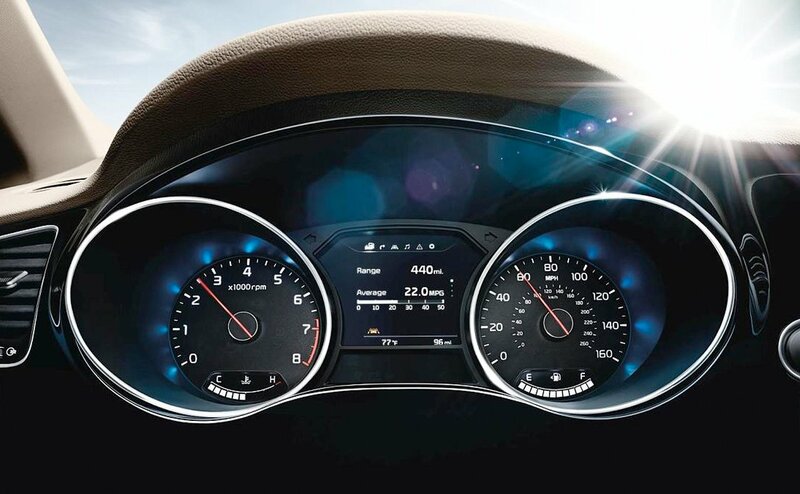 The advanced airbag system features sensors that detect impact levels and the presence of a front passenger, helping to manage airbag inflation. 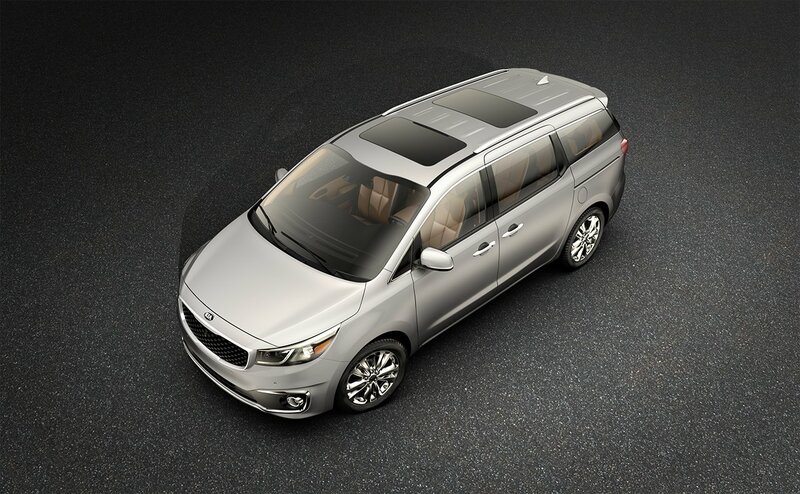 Structure - Built with even more advanced high-strength steel for improved body rigidity, the Sedona’s structure helps absorb and dissipate energy from an impact. Specially engineered front and rear crumple zones also help preserve structural integrity for improved protection.